Our technical expertise and specialization in the sectors of metallurgy, transport, energy and oil & gas boost the added value of our solutions. Our worldwide network of business units enables us to exchange and share the best practices of any given industrial sector. It makes it possible for us to offer you top quality solutions to support your business requirements and to anticipate technical evolutions. 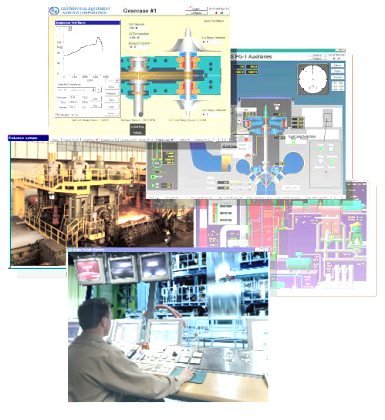 Expertise in systems engineering, industrial physics, testing & industrial services. HurbinSoftware is among the top market leaders in Engineering and Technology Consulting Services. With 20 years of expertise, we undertake major technical and engineering innovation projects for the global industrial firms. Consulting: to bring to you a structured analysis approach, also for proposing elaboration of methodologies, knowledge deployment, tools or technologies settled by industrial actors based on experience and technical skills in engineering and software domains. Systems Engineering: to support you on the right procedures of all the steps of product lifecycle: from the requirements analysis to systems integration and validation, the maintenance, through operational studies, system simulation and architecture. Software Engineering: to develop or customize embedded, real-time, critical, scientific or supervision software, and accompanying you in the setting up of the information systems.